Dr. Krstivoj Kotur was born in Yugoslavia and has been a resident of the United States since 1949. 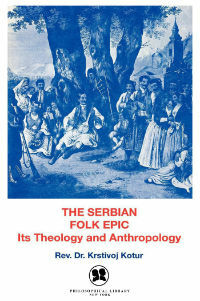 He is a graduate of the University of Belgrade, Yugoslavia, and the University of Sofia, Bulgaria, and subsequently received the degree of Doctor of Divinity from the University of Vienna, Austria. Dr. Kotur has authored many articles in various cultural and religious journals. He has also instructed in the Russian language at the Harrisbug Area Center for Higher Education, as a member of the Lebanon Valley College faculty in Annville, Pennsylvania, and has taught German at the senior high school level. Dr. Kotur currently occupies the pastorate of St. Peter the Apostle Serbian Orthodox Church in Fresno, California.